The key element to ensuring your business is prepared for the holiday season is this: starting early. If the holidays are your busiest time, hiring seasonal employees might make sense. There are plenty of workers available during the holidays and a few extra hands can go a long way toward helping your business achieve its potential during the busy season. Students make great seasonal employees as they’re always looking for a little extra cash, and have breaks from school during this time of year. A gift-wrapping service gives customers a little something extra. This will not only make them feel they are getting a better value, but the convenience factor may also drive sales up. Many don’t have the time to shop, let alone wrap. Having employees that want to take time off during the busy time for your business can present a significant challenge. A simple solution is to establish time-off guidelines ahead of time. That way employees know they will be expected to work and any last minute attendance issues can be nipped in the bud. Another great trick to motivate your employees to be at their best during the busy holiday season is to offer them some type of incentive. For example, you might consider offering your top sales person for the month of December a gift, bonus, or extra time off once the busy season is over. ‘Tis the season of giving after all, right? An existing customer is a good customer, and you will want to focus some effort on maintaining your existing customer base. A great way to do this is to offer a gift guide, specials for existing or repeat customers, or to market to those customers before everyone else. These customers will be happy with their previous experience shopping at your store, and are likely to make larger purchases. There are so many tools available to businesses today. Social media platforms such as Instagram, Facebook, Twitter and more can be highly effective digital marketing tools. The key is to produce high quality content that includes pictures and descriptions of your products and services. This type of marketing can not only be very efficient, but also highly cost-effective. You can even go the simple route and post signs outside of your store or post fliers in the neighborhood. Nothing says “holidays” more than a store that is highly and neatly decorated. 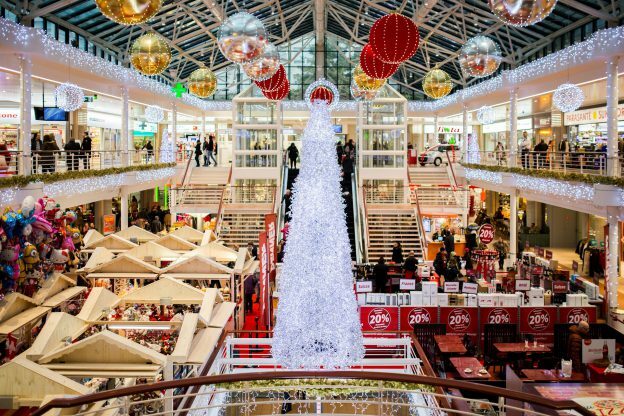 Put customers in the holiday shopping mood by using lights, plants, scented candles and more. Buying decisions are made on emotion, and a cleverly-decorated store can help harness that emotion to drive sales. If you have an online store, the equivalent to this is redesigning your homepage for the holidays. Following these simple steps can help your business run smoothly and profitably during the holiday season. It can also help build a great rapport with employees and customers alike to ensure that your business continues to grow.